Hope Levy creates staff development programs to help organizations build a more age-friendly environment for the people they serve. She facilitates empathy-building aging simulation experiences and strategy sessions to enhance services to their constituencies. ​With twenty-plus years in the field of adult education, an MA in Gerontology, and an MA in Special Education, I have a passion for lifelong learning, both personally and professionally. I stay current on cutting-edge research and developments in the fields of wellness, behavior change, aging, training, education, career transition and promoting age-friendly environments. In so doing I continually find new evidence-based strategies to effectively, and creatively engage and empower my clients and learners so that the learning objectives "stick." ​In addition to my consulting practice, I am a faculty member of the Encore Learning Program at City College San Francisco (former Acting Chair), and a Health Educator at Kaiser Permanente. "Hope does not lecture. She engages participants in a conversation about goals, families, work and the benefits of lifelong learning. 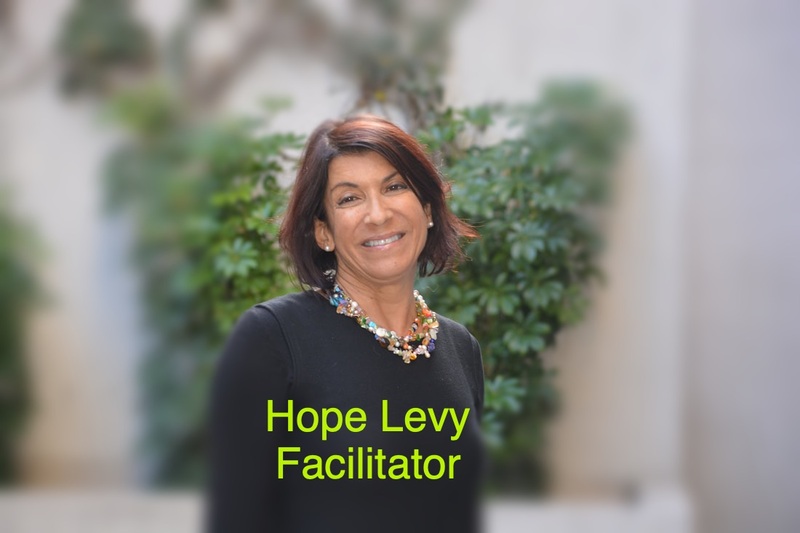 She respects the diverse opinions that are inherent in San Francisco's adult learning population and our program participants responded positively to this."